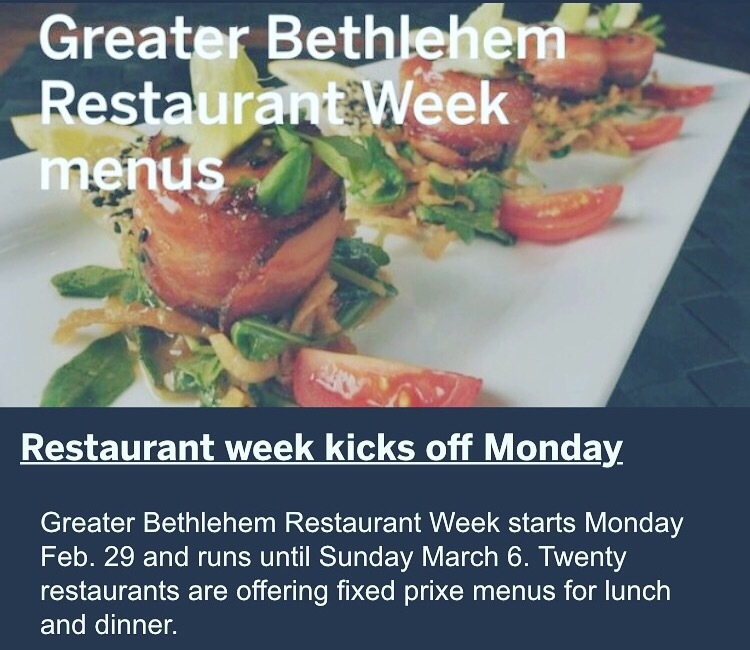 Bethlehem restaurant week started Monday, February 29th and is now running until Sunday, March 6th. And All of the Emeril Restaurants in the Sands as well. 20 places participating and the menus all look great. Lunch specials are 2-3 courses and vary in price from $10-$15…. Dinner specials run from $20, $25, $30, and $35 for a 3 or 4 course meal. Trying out Yianni’s today and hopefully another place to share. Tag me in any pictures if you participate in restaurant week! I would love to see your yummy food. Here is a link for the menus of all participants. Heads up, your mouth will water.